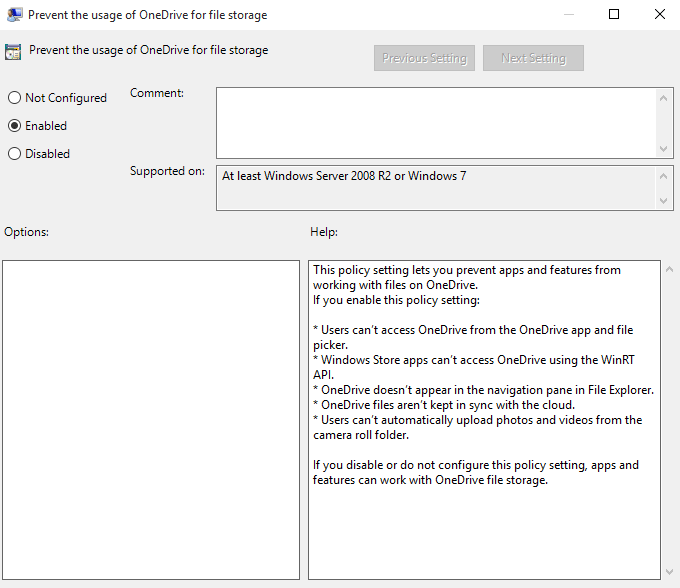 Navigate to Local Computer Policy -> Computer Configuration -> Administrative Templates -> Windows Components -> OneDrive. The policy above is actually set a setting in Registry, which is useful for people who prefer to use Registry Editor. In addition, Windows 10 Home does not come with Group Policy Editor too. Right click on Windows and select New -> Key. Name the new key as OneDrive. Note: If OneDrive key already exists, skip this step.